As the school year winds to a close, GALA remembers the wonderful events we celebrated in the past few months. These events celebrated the achievements that not only we as a community have made together, but also those made by individual students, staff members, and alumni alike as they work to better their communities and those around them. 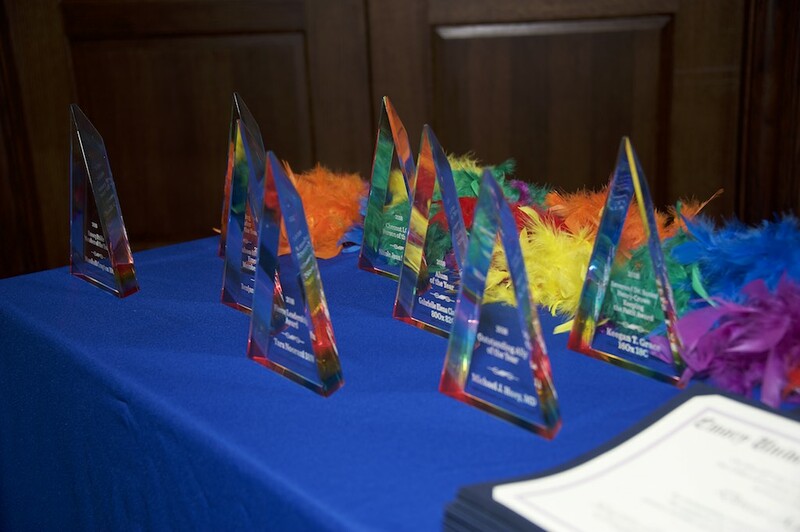 On February 28th, the Emory LGBTQ community gathered at the Miller-Ward Alumni House for the annual Pride Awards. A networking event for graduating students was held prior to the event. There, GALA co-chair Ryan Rusiecki gave a toast to congratulate the students and to welcome them into the alumni community of Emory University. The celebration was well attended by students, staff, and alumni. Notable among them was Emory’s 20th President Claire Sterk, who gave the opening statement at the Awards. As the celebration proceeded, the community recognized the many achievements of the past year. The awards portion of the event culminated in the recognition of graduating LGBTQ students from all schools within Emory in the form of rainbow cords and lavender diplomas. These served to recognize them not only as graduates, but also new members of Emory’s ever-expanding LGBTQ alumni family. The event concluded with ample amounts of dessert and more than an hour of friendly mingling. Coming up next is our summer social in late August. Each year it is a fun and informal event when members of the LGBTQ community can get together to bond and enjoy the end of the summer. Keep an eye out for more information to come, and we’ll see you there! Pride Awards given to deserving individuals on February 28, 2018.